Fire crews from Cahir and Clonmel had a busy start to the week after they were called to assist to a gorse fire that broke out in the Comeragh Mountains on Monday morning, July 2. The fire crews were assisted by personnel from the Irish Air Corps in extinguishing the blaze. 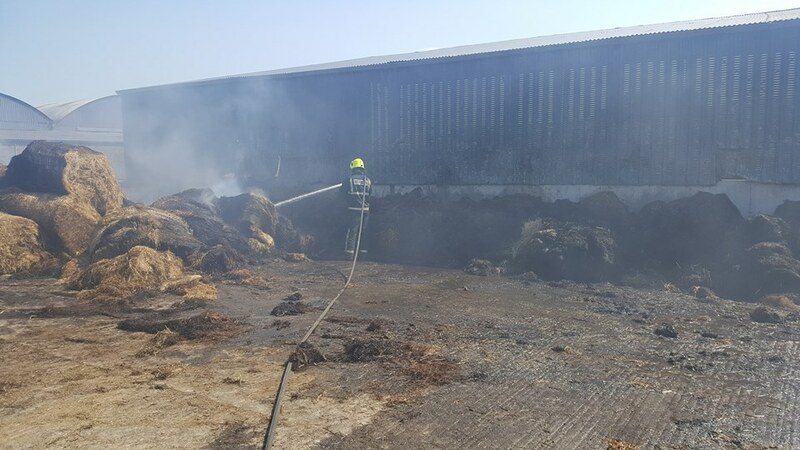 On the same day, members from Cahir and Clonmel fire services were also called to attend a blaze that broke out on a farm in Tipperary. Pic: Crews from Cahir and Clonmel attended the scene of a haybarn fire in Tipperary on Monday morning. Meanwhile emergency services are continuing to tackle a large forest fire near the Slieve Blooms mountains tonight Wednesday 4 July. The fire was reported early on Wednesday afternoon between Kinnitty and Cadamstown. The Cut Road between Clonaslee and Mountmellick is now closed. All other feeder roads from Kinnitty, Cadamstown, Mountrath to Slieve Blooms should be avoided. The national fire service is urging anyone who sees a fire to keep a safe distance away and report it immediately to them on 999 or 112.